I’ve had a really solid start to the day – nearly killed by various thorny bouquets, mauled by throngs of vicious heart-wielding bears… thank goodness I have a platoon of sweet treats waiting for me at home. I’ve often wondered about the origin of this unlikely (but oh so delicious) union… there is a very nice NY Times article from 2008 that speaks to its journey from traditional Brittany to mass culture. Michael Laiskonis, executive pastry chef at New York City’s Le Bernardin shared his recipe for these tasty treats with Saveur; I absolutely had to try it. Line an 8″ square baking pan with parchment paper – make sure the bottom and sides are fully covered. Set aside. In a medium sized saucepan, combine the cream, corn syrup, salt, and vanilla seeds. Heat until it is just simmering, then remove from the heat and let it sit for about 10 minutes. 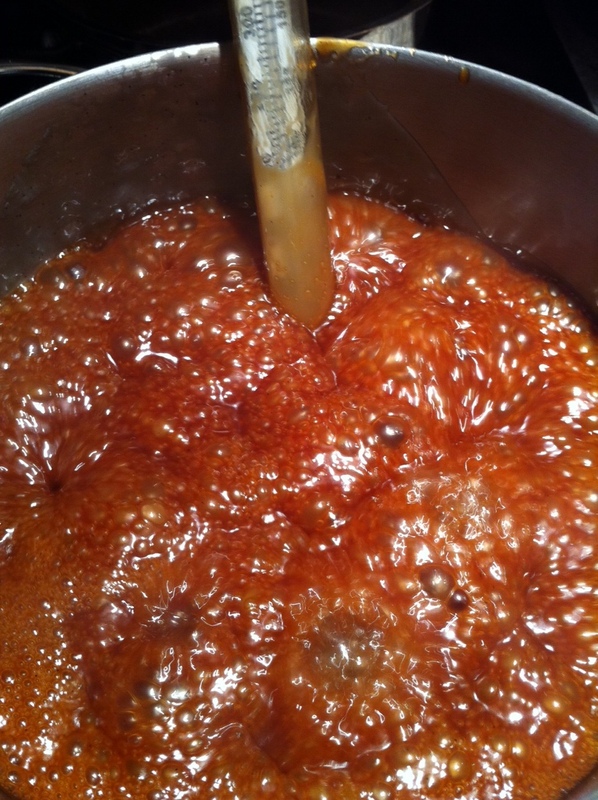 In another saucepan, combine the sugar and 3/4 cup of water over medium high heat. Without stirring, wait until it turns a rich amber-y color and a candy thermometer reads 370º. Remove the pan from the heat, and slowly pour the cream mixture into the sugar mixture. Stir until combined. 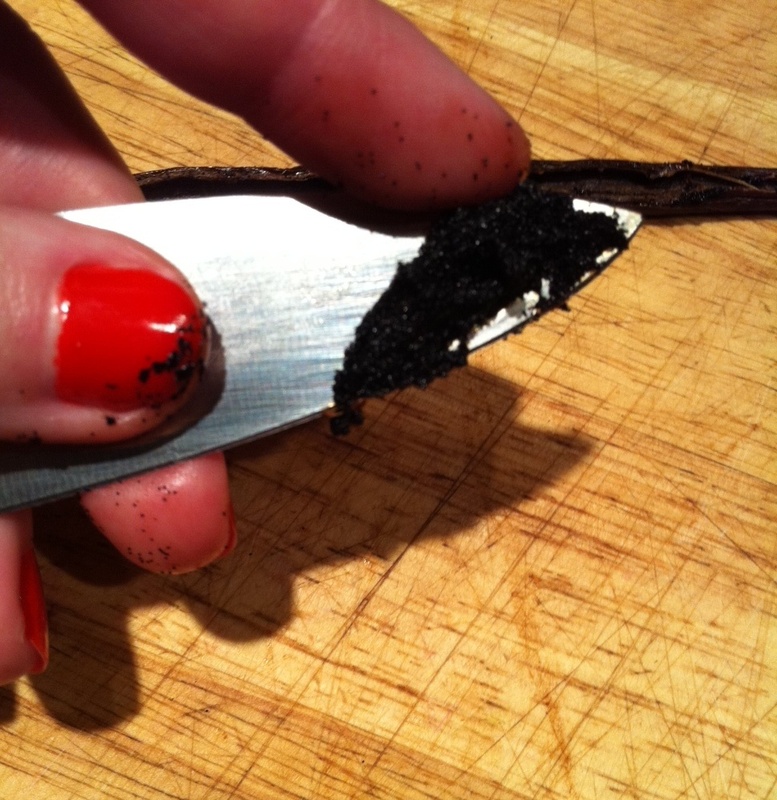 Transfer it back into the larger pot (it is actually VERY necessary to do this, I thought to myself, why bother? And then ended up with a caramel explosion all over my stove. 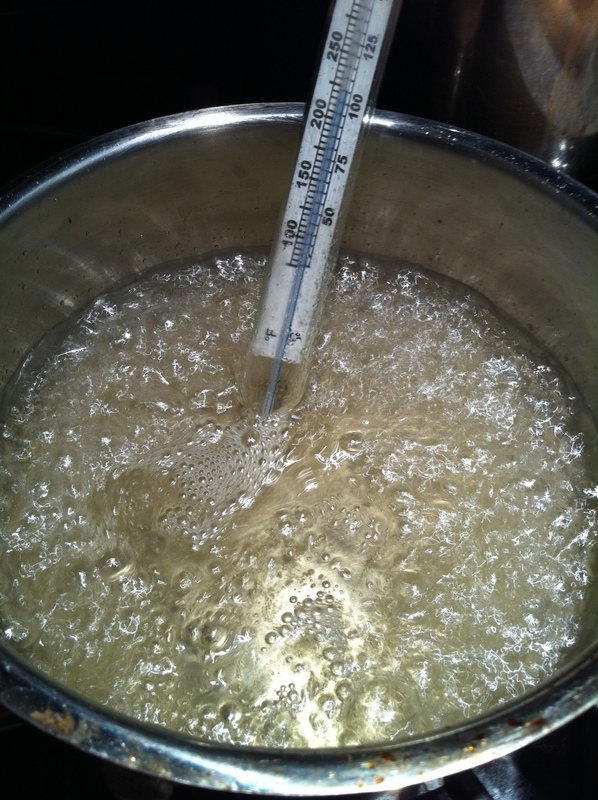 Disaster), then without stirring, heat until it reaches 246º. Pour the caramel into the parchment-lined pan, and allow to cool completely. 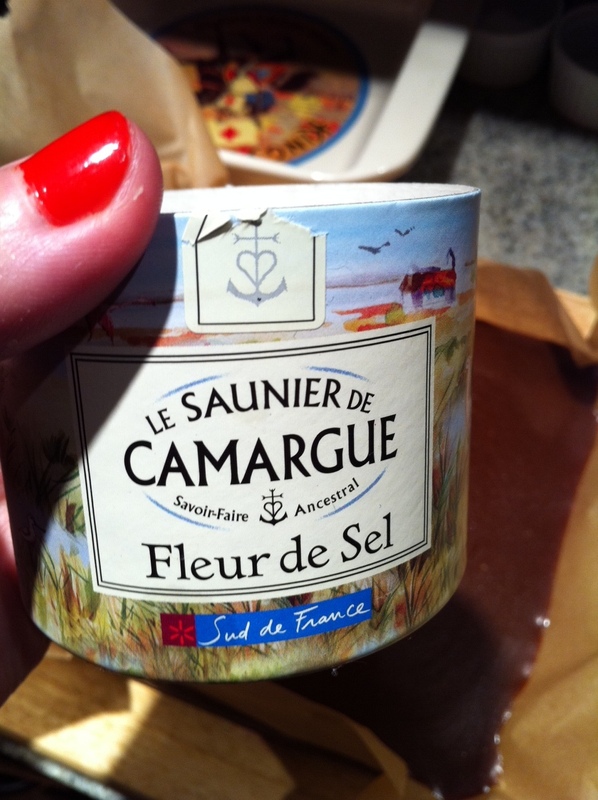 Garnish with fleur de sel, cut into 1″ square pieces, and wrap in wax paper to store. They taste like salty little pieces of heaven! This entry was posted in Salt and tagged caramel, fleur de sel, Le Bernardin, Michael Laiskonis, salt, salted caramel, vanilla. Bookmark the permalink. yumm! 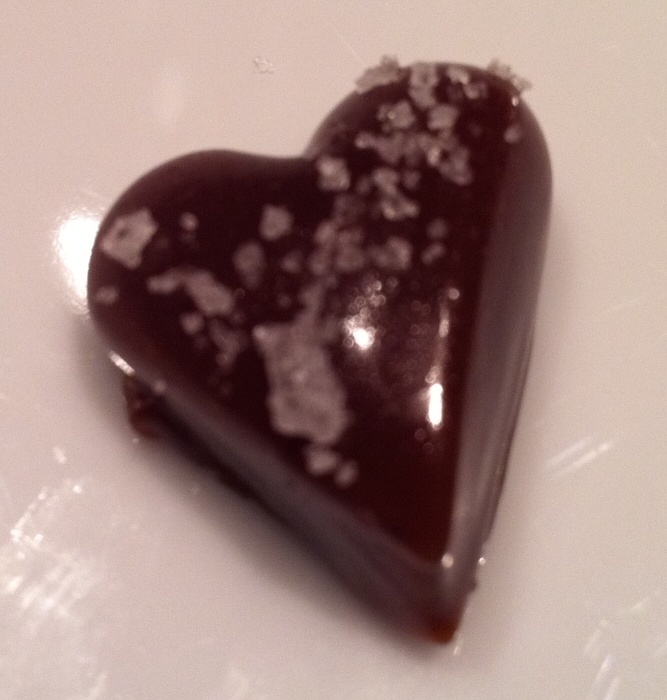 just like the celtic sea salt caramels from bequet that i tried in boston. heavenly.